We writers talk a lot about character's goals, motivations and conflict, or GMC. It's what drives the story. But I'm discovering that it's also what drives our lives. Goal: what you want. In terms of story, it's what the character will live for, fight for, and die for if necessary. When you look at your life, I'm sure there's something that you want. Maybe it's to lose weight or make more money or find the perfect relationship. We all want something so badly that we would do whatever it takes to get it. So what do you want? Motivation: why you want it. This is the reason the character does what she does, says what she says and works so hard for her goal. The reality is that the stated motivation may not be the true reason. Sometimes it takes a little more thought to get to the true motivation. I may want to lose weight because I want to feel and look better, but when I get to the core of why I want to lose ten, twenty, fifty pounds it could be because I'm tired of being tired and feeling worthless. I want to feel like I'm worth it, that I deserve better. But even that may not be the true reason. It will take more reflection and getting down to the nitty gritty to figure out why. And once I do that, I'll be better prepared to make a plan to reach my goal. Conflict: obstacles to getting what you want. It could be something as simple as traffic preventing you from reaching an appointment to a person pointing a gun at you to stop you. Sometimes the conflict is self sabotage (especially with my weight loss goal) which means going back to what you want and why you want. Creating a plan to overcome obstacles is meant to push the character (or yourself) through the story (or life). Overcoming conflict makes you stronger, makes the victory of achieving the goal all the more sweeter. If your story has GMC, you have the start of a great story. Think about the movie "Finding Nemo". Marlin's goal is to get his son back. His motivation: his son is the only family he has left. But to find his son, he has a lot of obstacles to overcome. He is afraid to leave his home. He doesn't know where his son is. There's a big ocean full of sharks, jellyfish and whales. When he finds his son, how does he rescue him? And what if his son dies before he can be rescued? That's a lot of obstacles, both internal (his fears, his lack of knowledge) and external (the other sea life, the fishing boat). But a happy ending means that Marlin will reach his goal and be reunited with his son. When you look at your life, do you have the GMC to drive you? What will it take to get to your happy ending? Syndi, Thanks for a thought-provoking piece. I sometimes find it hard to set up the layering in a story like you so nicely showed with Finding Nemo. It's good in our books to have a series of conflicts. Ha, not so good in life. But truly when friends sigh and say "it's always something going wrong" those are real life conflicts throwing up road blocks in life. So true, Roz. I would not want to live the lives of some of our characters! LOL, recently, when plotting a new story, I've had to analyze romantic conflict as a separate entity from just plain conflict. Your thoughts? OOOhhh, that's a good one. I have written synopses dividing the conflict between the physical, emotional, romantic and spiritual plots. Romantic conflict deals more with the emotions and the inner lives but is also played out on the physical, outer stage. Hmmm... This has got me thinking. before. How clever. It says in a nutshell what can take pages to reel out. Curiously, I think you can get a happy ending in the middle of your life and just spend the rest of it nurturing and protecting it. Can the difference between romantic conflict and just plain conflict be as simple as . . .romantic love generates emotions for one person that can put you at odds with all the other things you want in life and you have to figure out what to cling to, what to give up, what to save for later. Just plain conflict is how to keep the rest of your life going while you work that out?? I don't know. Felt like I was on a roll there, but it's really all tangled up, isn't it. Way to make us think, Syndi, Pam. Muriel, I think you can find a happy ending in midlife, but there's always conflicts that seem to come up: illness, job loss, etc. GMC... I like that! It sums up exactly what every good character and story must have, regardless of genre, it's a universal rule. 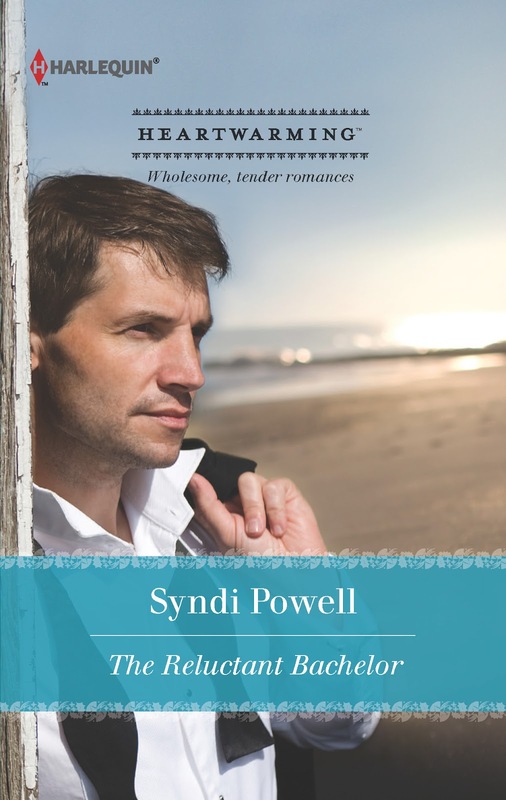 Pam- it's true that as romance writers we do have to think about multiple layers of conflict- not just what is going on externally to keep the couple apart, but internally as well. I'm struggling with that right now as I'm working on my second Heartwarming. Thanks for this great post, Syndi! Great post, Syndi! Love Debra's GMC book and it's nice to see it all put in real life perspective. That self-sabotage is one to watch out for for sure! I've seen too many people not reach goals due to subconscious fears or insecurities.